Here is a glimpse of our sweet Spring Cavapoochon puppies just a few days old with Fancy. 16 days old and open eyes! He was the first in his litter to open his eyes. 21 sweet Cavapoochon puppy days old and snuggling! 28 Cavapoochon puppy days old! This little guy posed and then he decided it was time to explore! Also, isn't his half black nose just too cute! No worries, it will fill right in. 32 days old - Mr. Darcy our Cavapoochon male puppy. What a cutie he is!!! His little petite guy just knows how to pose for Momma Liz! 6 weeks and 4 days old! 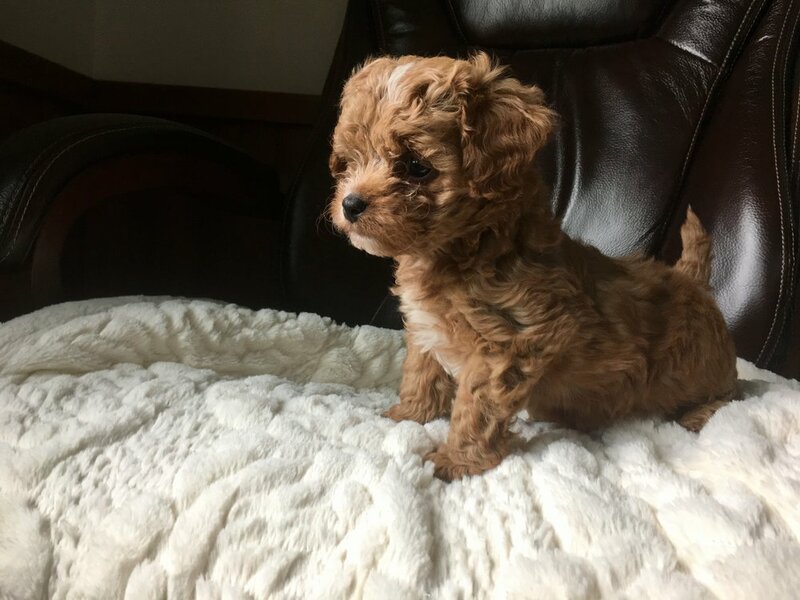 This Cavapoochon puppy boy is all puppy love and wiggles.